Use HTML. Make sure to use HTML for the content of the website. That way you can ensure that the search engine crawlers / spiders will be able to index the content on your website and that you will be found for your content. Also, use HTML for all links on the site. If you want the search engine to follow the link on the site this is the best practice. Create a Sitemap. Having a Sitemap is very important for indexing purposes, and acts as a Table of Contents for the website. It is also easy for the search engine to crawl. You want to have regular HTML Sitemap and a XML Sitemap. Once you have created a sitemap then be sure to submit it to Google, Yahoo and MSN. You can create a sitemap by going here: http://www.xml-sitemaps.com/. Robots.txt. Make sure you use robots.txt to prevent the search engine from crawling any unnecessary pages of your website such as forms, RFP pages or check out areas if you are selling something on your website. Use a web tool like Xenu Sleuth: http://home.snafu.de/tilman/xenulink.html. Check your website on a regular basis for broken links. Having broken links is not good and you will want to fix all broken links on the site. Good Content: Make sure each page of your site is optimized for 1 keyword phrase. You can use synonyms, modifiers, or related keywords for that page, but the overall page strategy should have one main keyword focus. Forms, Questionnaires, Surveys. The spiders that crawl sites cannot fill out forms answer questions or take surveys. If you have content that needs indexed behind the form you will want to provide an alternative link for the search engine to crawl. Dynamic URL’s. Avoid Dynamic URL’s as much as possible. A Dynamic or complicated URL normally has =’s,?’s and &’s. These URL’s are not easy to read for the user or search engine. Stick to short and descriptive URLs as a standard. A user should be able to tell what your page is about by reading the URL. Also, subdirectories are better than subdomains for sites that have Blogs or would need to use a subdomain. Duplicate Content. Avoid this at all costs. Make sure each page of the site has unique content that is not repeated on any other page of the site or on any other website. Also make sure each page has unique and different meta data on the back end for each page of the site. Don’t require registration, cookies, or search. The search engine cannot crawl or fill out registration forms. Same goes for cookies – search engine crawlers don’t accept them. And don’t make spiders use your search bar / box to find your site’s content. 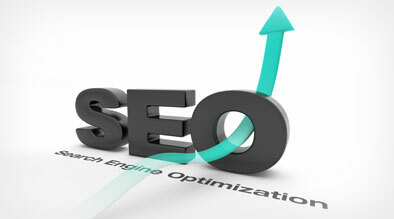 It best to avoid internal search’s on the site for best SEO practices. In conclusion, checking your website on a regular basis for errors and crawlabilty it is important to having a successful, well optimized site. The less work you put on the spider that crawls your site, the more you will be rewarded. Having good content is also very important and you want to make sure that you update your site to have the most current, relevant content. If you follow these basic practices then you will be well on your way to building a successful long term online strategy.